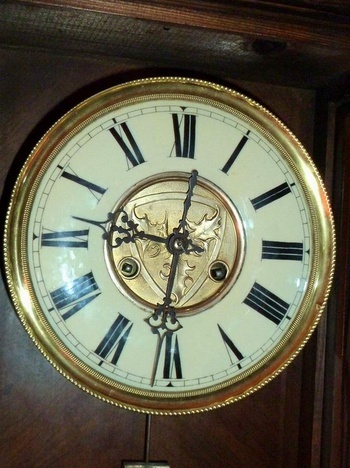 In Clocks > Wall Clocks > Show & Tell and Clocks > Regulator Clocks > Show & Tell. Thank you Kerry for the love on this one! It was an 'ok' price way back then, but clocks took a real HIT when the economy took a nose dive. Today, this clock really isn't worth much more than I paid for it. But that's ok, someone will get it out of 'my estate sale' some day! Well, even though not a give-away-price, I would have paid it. You got a fair deal. Can't tell you how to go back in time, but an old man told me the secret to immortality. "Find out where you are going to die. Then, just don't go there!" Really admire the clock. You're right, it was a fair price and to see this gal smile was all the better. Thanks for the love on this clock! And how I love the old man's "secret" to immortality! Very funny! 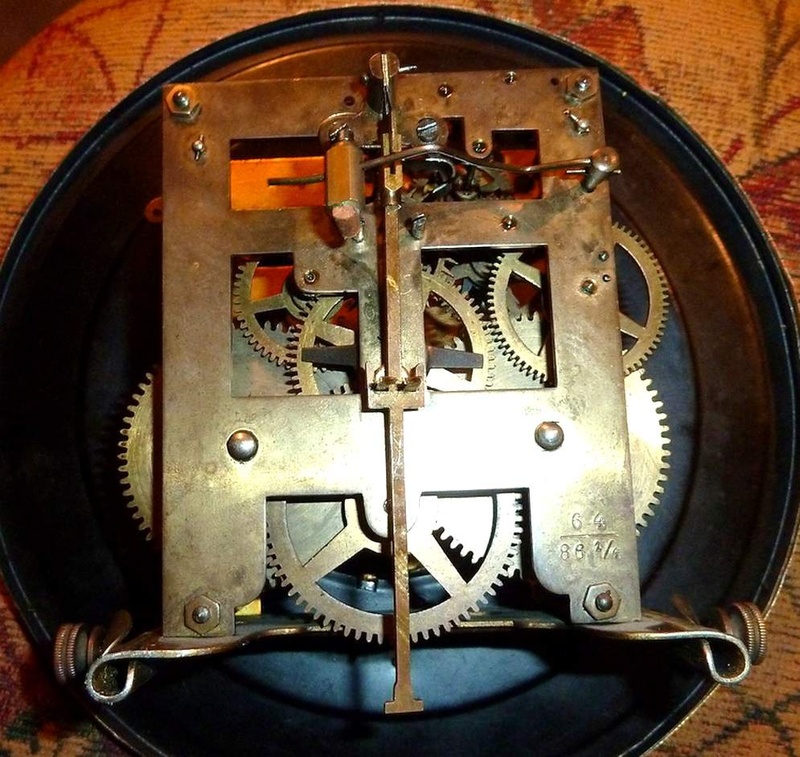 Hi inky, Your clock may be 'similar' in appearance or size, but yours is by far a much better clock produced by Gustav Becker - and it's WEIGHT driven, which is better, not spring driven like mine. 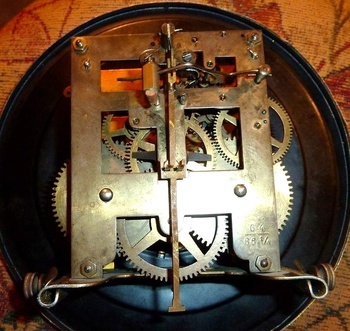 Depending upon when your clock movement was last cleaned, it might just need to be lubricated with some clock oil. A good cleaning can last quite a few number of years. Inky, go to any shop with the mech. open & ask them to blow it out with air before you waste any money. Better if you can get the mech. moving a bit while they blow it out.